For sale is this exceptional silver candle lamp by William Hutton & Sons. 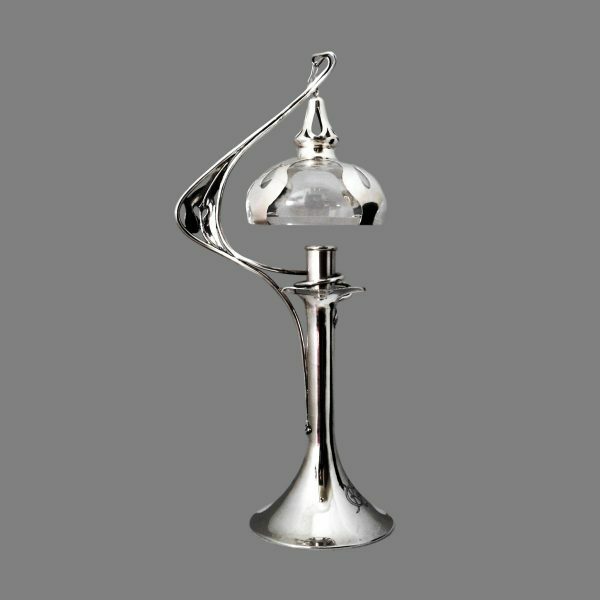 The design is attributed to Kate Harris, and it represents one of the great modernist designs in silver from the early 20th century. 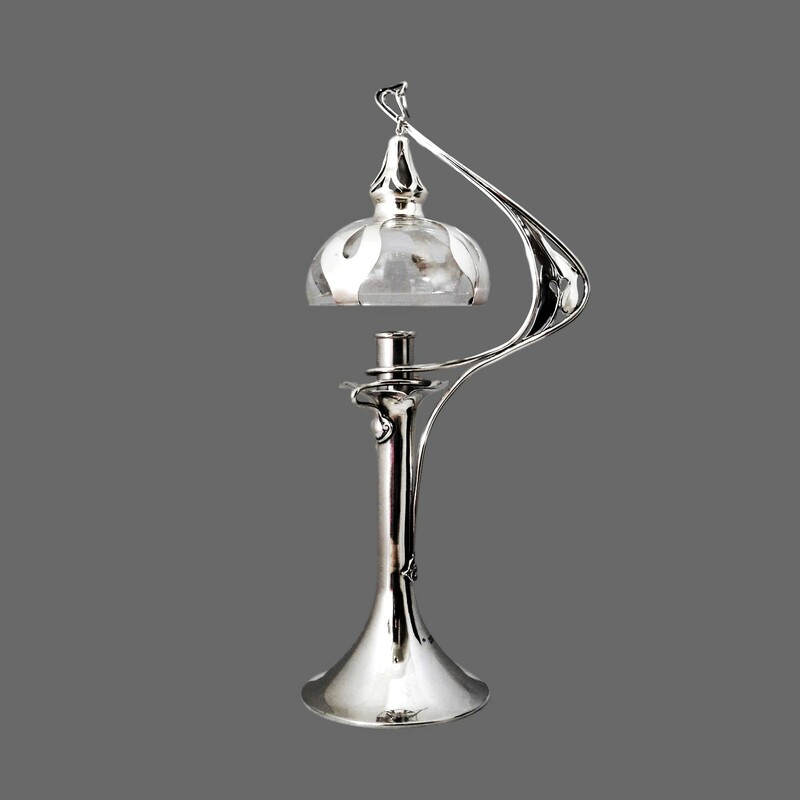 Until now unique, the only other lamp of this design is held by the Minneapolis Institute of Art, click on link for details. The lamp presents in excellent condition though note the hanging silver and glass shade is a modern replacement. 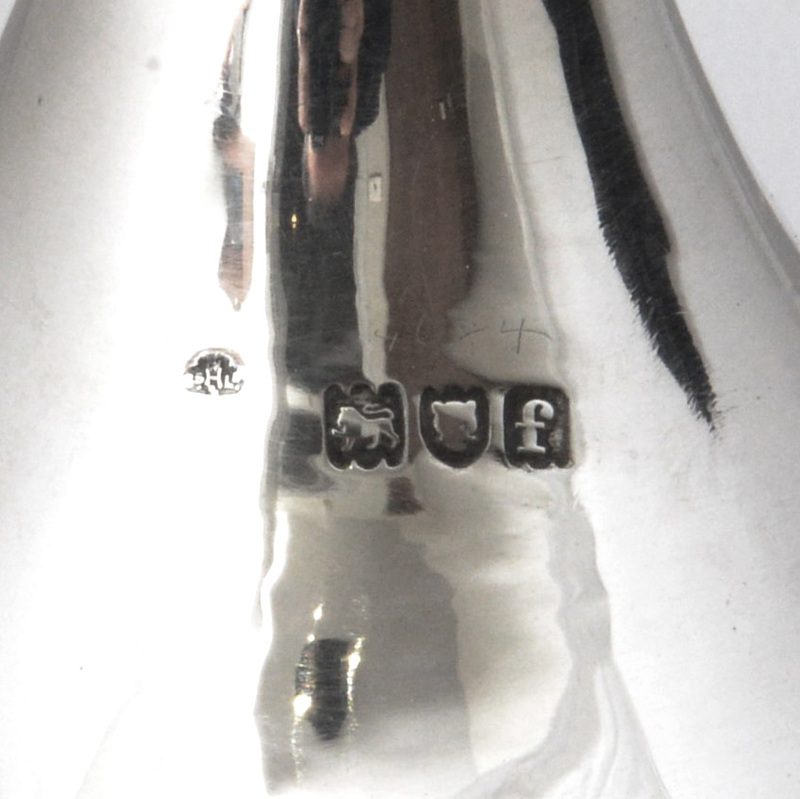 Original KC or CK monogram to lamp base. Kate Harris was employed the London studio of William Hutton & Sons to produce artistic silver from 1899 to c 1905. Her work is often hallmarked for Goldsmiths and Silversmiths who were retailers as well as manufacturers. See Dr Stephen Pudney’s articles on Kate Harris in the Decorative Arts Society Journal Vol 22 “A marriage of art and commerce: Kate Harris and the arts and crafts silverware of William Hutton & Sons” and 2015 Volume 39 “The mystery woman of English art nouveau”.